Have you been out of school for years and you’re interested in going back to start or finish a degree? Do you want another degree to help you start a career or change careers? Do you have a son or daughter in college now and he or she needs more money to finish? Are you a student already in college and you’re trying to find scholarships to help you complete your degree? Are you interested in scholarships to help you transfer from a two year college or university to a four year college or university? 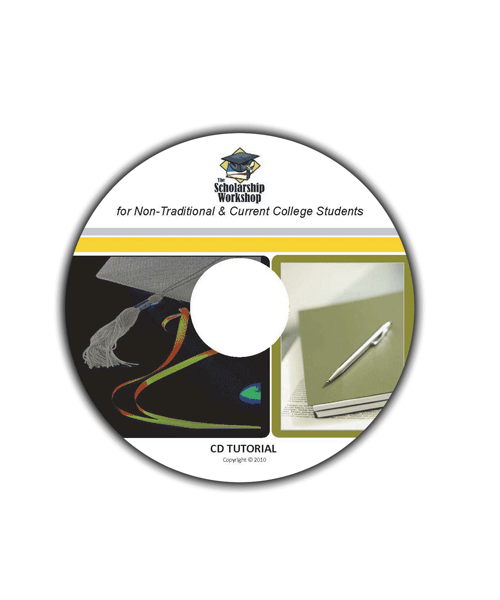 The Scholarship Workshop CD for Nontraditional & Current College Students is a learning tool based on the highly popular Scholarship Workshop seminar. If you can’t attend the workshop or an online class, the CD is a great way to get immediate help. You can even link directly from within the CD to scholarship web sites and programs to help you get money for college.